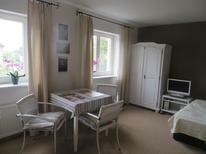 View from a beautiful two-person apartment in the heart of Quedlinburg. Harz | Goslar, Quedlinburg, Osterode and many other places around Harz enchant with idyllic historical town roads and pretty timbered houses. 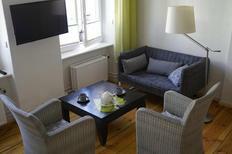 Here you will find apartments in Harz’s fairy tale towns. 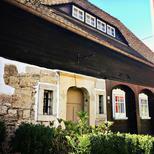 Rügen | A typical thatched-roof house lends the perfect touch to your holiday on Rügen. The homely atmosphere is as good as guaranteed. A holiday house in Germany costs on average USD 633 in the cheap travel period and USD 847 in the peak season per week. These details are of course in relation to the house and not per person as well as includes the obligatory additional charges. Lonely Planet recommends atraveo: Germany 2010, page 758. 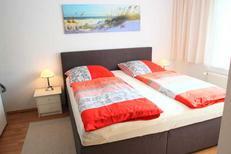 In Germany atraveo offers you a selection of more than 22,000 holiday apartments and houses. For more and more travellers Germany is increasingly becoming an attractive proposition. This is not surprising as the country has a lot to offer ranging from coast to mountains. Are you actually aware of the incredible versatile German landscape and culture? You will be amazed. Why don’t you find out for yourself how diverse Germany actually is and look for your dream holiday home in your favourite region. Whether a holiday at the seaside, a hiking tour in the Uplands or the Alps or a cultural vacation in a major city – Germany offers unlimited opportunities. Of course the most popular areas are the coasts and islands of the North Sea and Baltic Sea. But for a great family beach vacation you must not necessarily be at the sea. The many lakes in the Mecklenburg Lake District or the area around Lake Constance offer many opportunities for great bathing experiences and water sports. In these and other regions you can not only indulge in the cool water but also discover the area from the comfort of your holiday home. In southern Germany for example the mountains of Bavaria and Baden-Wuerttemberg await you. In Germany for an active nature vacation cycling or hiking tours such as in the beautiful Harz, the spectacular Black Forest or the picturesque Allgäu are ideal. But also Eifel, Upper Bavaria and Saxon Switzerland impress with their unique charms. The great thing about all those regions is their countless cultural peculiarities which cannot be found in such a dimension any other country. Almost every region has its own local dishes, garbs, dances and customs - and not to forget the local types of beer – in total more than 1,300 in Germany! As manifold and diverse as the regions are so are also the holiday homes in Germany. When deciding on a coastal holiday you best book a house with an original thatched roof whilst when staying in the Black Forest a half-timbered house or in the Alps a refurbished mountain chalet is the best choice of domicile. This way your accommodation itself is part of the holiday experience. Worth a trip at any time are of course also the many German cities which can easily be discovered from a holiday apartment in the vicinity of the city. Whether the cultural cities Berlin, Hamburg or Munich or the many “smaller” ones – they all offer next to the standard museums, exhibitions, musicals and theatres much other entertainment options and sights. 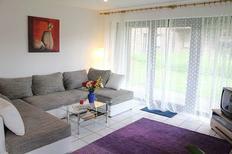 In many German cities atraveo offers you a wide selection of holiday homes close to the city or apartments even right in the middle of the city.